The Swinomish Casino & Lodge is located in Anacortes, Washington near Deception State Park and Skagit Speedway. It sits on Padilla Bay and the Swinomish Channel with views of the Cascade Mountains and the San Juan Islands. The Swinomish Casino began as a bingo hall in 1990. The tribe negotiated a gaming compact with the state in 1992 and built a casino next to the bingo hall. The casino opened July 15, 1994. A major expansion project began in late 2016. The bingo hall was closed in October 2016 and replaced with a new facility. The casino floor was expanded and a non-smoking area was added. The grand reopening was celebrated in May 2018. 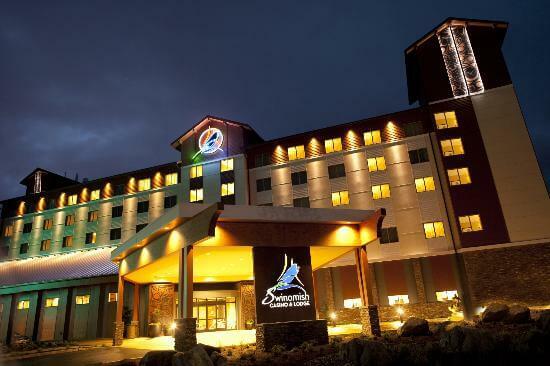 After completing major renovations at Swinomish Casino & Lodge, the property is holding a Grand Reopening event from May 11-13 to celebrate the remodeled facility, with more than $30,000 in cash giveaways and prizes, live music and other exciting events. The Grand Reopening event marks the end of more than one year of renovations at Swinomish Casino & Lodge and the start of an entirely new experience for guests. To celebrate, the casino is hosting drawings all weekend long on May 11-13, from 11 a.m. to 11 p.m., giving away more than $10,000 in cash and prizes each day during the event. The Grand Reopening will showcase various live music acts on May 11 and 12. Hell's Belles, a renowned all-female AC/DC tribute band, will headline the weekend performances, with a complimentary show on May 12 at 8:00 p.m. In addition to the Grand Reopening festivities, Swinomish Casino & Lodge will be celebrating Mother's Day by hosting drawings and selecting one lucky winner to sail away on a cruise with a Play to Getaway promotion, worth $2,500. The weekend before the Grand Reopening, Swinomish Casino & Lodge will host live music on Friday and Saturday and Hot Seat drawings from 3 p.m. to 9 p.m. each day. The drawings will be for a total of $6,000 in casino promo play on May 4 and 5. On Sunday, they will host 10 separate drawings to win up to $500 in casino slot play. Miller Campbell, a Seattle-based musician who has taken the country music scene by storm, will perform on May 4 at 9 p.m. To celebrate Cinco de Mayo, on Saturday, May 5, the casino will offer specialty margaritas for purchase and complimentary house-fried chips and fresh salsa from 11 a.m. to 3 p.m. A mariachi band will serenade the festivities that day as well. "The Grand Reopening marks the exciting end of renovations at Swinomish Casino & Lodge," said Jay Ellenberger, general manager at Swinomish Casino & Lodge. "Our entire team put in countless hours to make this project successful, we are so excited to finally show everyone our beautifully updated facility." The renovations have added more than 14,000 square feet of new space to the property. Some of the newest features include a remodeled Player's Club, cash cage, keno area and restrooms, 140 new speakers and 17 video walls featuring four 55-inch monitors each, and a larger, upgraded non-smoking area. One of the key improvements is an upgraded HVAC system, which will dramatically improve the air quality for guests. The new system allows 10 to 12 air exchanges per hour that will introduce fresh air into the facility. The five new air units will serve the gaming floor, food court and Lodge, elevating the level of comfort and eliminating fan noise. Other major additions to Swinomish Casino & Lodge include adding three new food and beverage outlets, as well as renovating the property's sports bar. The Swinomish Sports Bar & Grill, formerly called 10 Sports Bar, is currently being remodeled and will be completed by June. 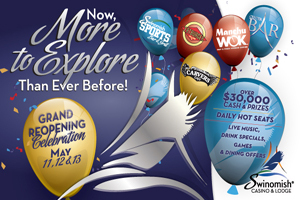 Additions include a new food court, which added Manchu WOK and Fatburger franchises inside Swinomish Casino & Lodge. In addition, the newly built Center Bar is now a focal point on the new gaming floor, with 360 degree seating. The upscale bar features signature cocktails, local and craft beers on tap, and six 55-inch monitors, viewable from all seats. Carver's Cafe is a new 24/7 restaurant that offers classic American cuisine and features historical photos from the Swinomish Tribal Archive and hand-carved decor made by Swinomish tribal members. The renovation has created more than 60 jobs at Swinomish Casino & Lodge. The property held a career fair in October of 2017 to hire team members for the new restaurants. Renovations started in September of 2016 with the collaboration of Swinerton Builders and Bergman Walls & Associates. For more information on the renovation project, please visit swinomishrenovation.com, or contact Kelci Douglas, digital marketing coordinator for Swinomish Casino & Lodge at kdouglas@swinomishcasino.com or (360) 542-7906. Miller Campbell meet & greet, from 6:30-7:30 p.m. 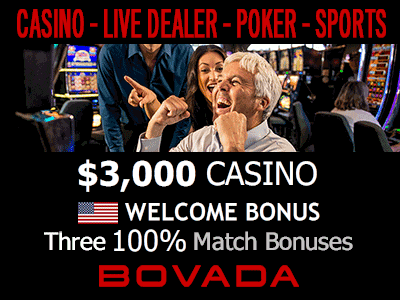 Drawings for a total of $3,000 in casino promo play, from 3-9 p.m.
DJ Kevin Collins, from 9 p.m.-1 a.m.
10 drawings for up to $500 in casino slot play, from 3-9 p.m. The Machine, from 9 p.m.-1 a.m. Drawings for more than $10,000 in cash and casino promo play, from 11 a.m.-11 p.m.
Hell's Belles, from 8:00-9:30 p.m. The Machine, from 9:30 p.m.-1 a.m. Mother's Day cruise giveaway, from 11 a.m.-3 p.m. Located along Padilla Bay in Anacortes, Washington, Swinomish Casino & Lodge is owned and operated by the Swinomish Indian Tribal Community, descendants of groups originating in the Skagit and Samish River valleys, as well as the surrounding coastal areas and islands. Swinomish Casino & Lodge is a full-service entertainment destination, including a 98-room luxury lodge, a 9,000 square-foot multi-purpose event center, and a casino featuring Las Vegas-style gaming with over 800 of the latest slot titles and table games, including blackjack, craps, roulette, pai gow and keno. For more information, please visit SwinomishCasinoandLodge.com.